The MiniVap is purpose designed for low usage research and development departments where low numbers of individual plates or vials need drying. The MiniVap is simple to operate and maintain. The new Ultravap RC from Porvair Sciences is the latest fully robot-compatible version of our popular Ultravap nitrogen blow-down evaporator, suitable for integration within the safety enclosure of several leading laboratory liquid handling robots. 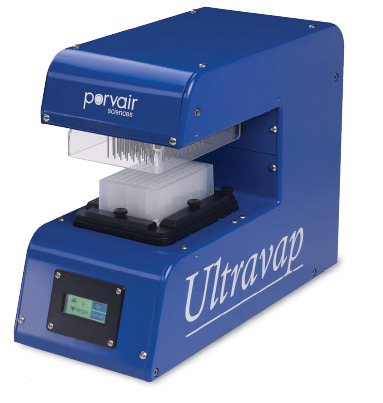 The Ultravap® Levante is the latest in Porvair Sciences' popular series of nitrogen blow-down sample concentrators and evaporators. The Ultravap Mistral from Porvair Sciences is designed to remove the traditional laboratory 'bottleneck' of solvent evaporation from microplates.